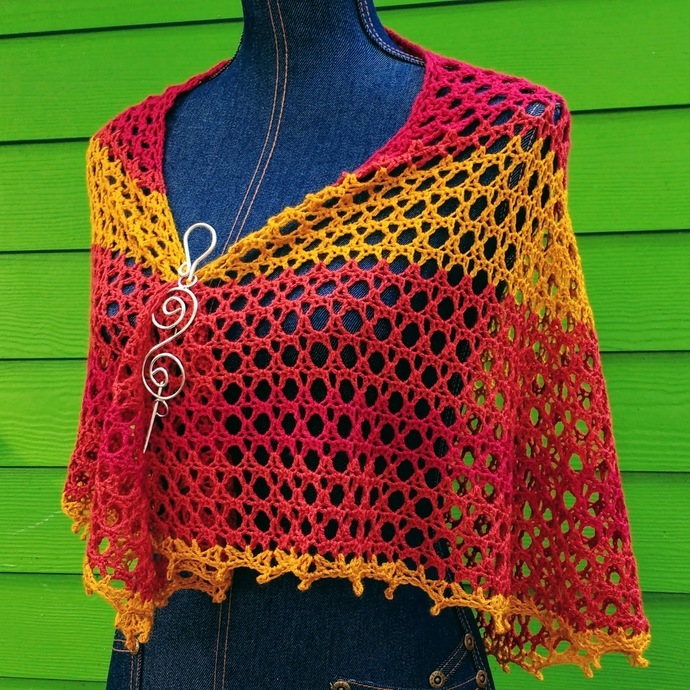 This airy shawl in red, orange, and yellow is crescent shaped with a natural curve at the top edge to help keep it wrapped around your shoulders. 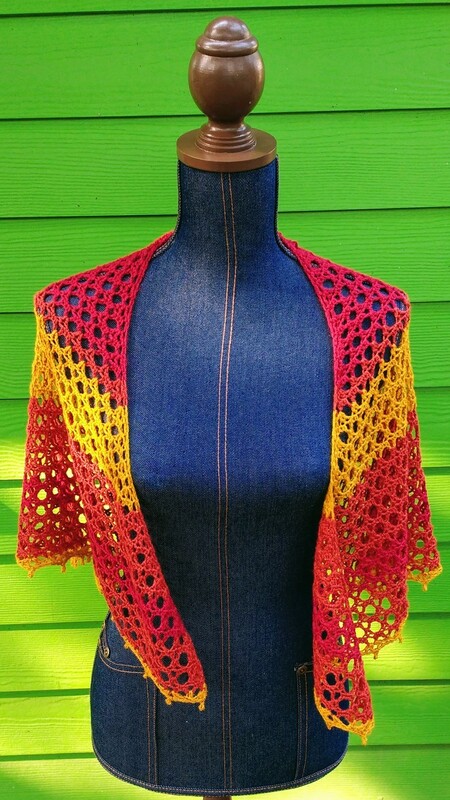 Whether you wear it open as a shawl or scrunched as a scarf, this shawl is ready to add a pop of color to your outfit. 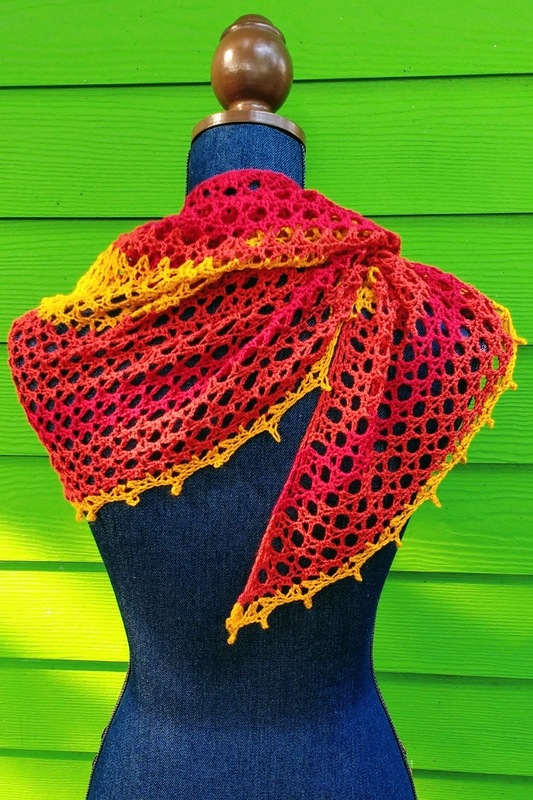 The open lace design is finished off with a picot edging. 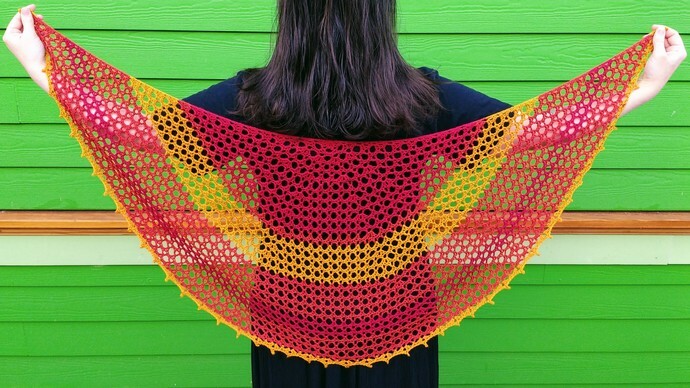 The Sunrise Shawl measures about 54 inches across the top curve and 22 inches down the back spine. 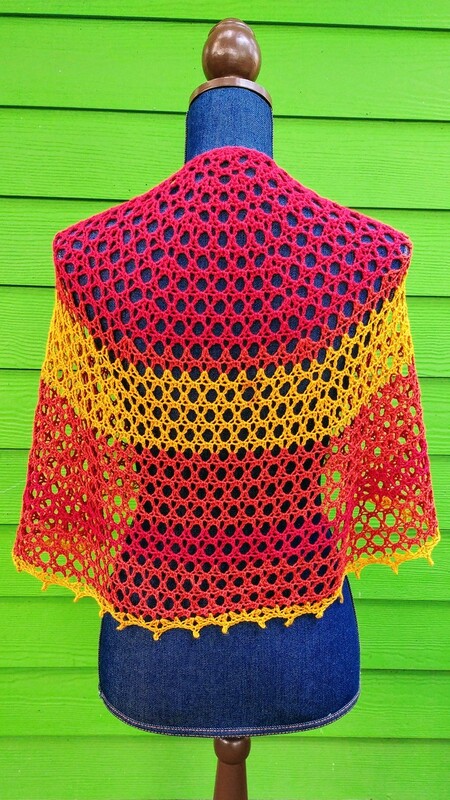 It is made of a machine washable acrylic/nylon blend. I recommend hand washing for longest life. 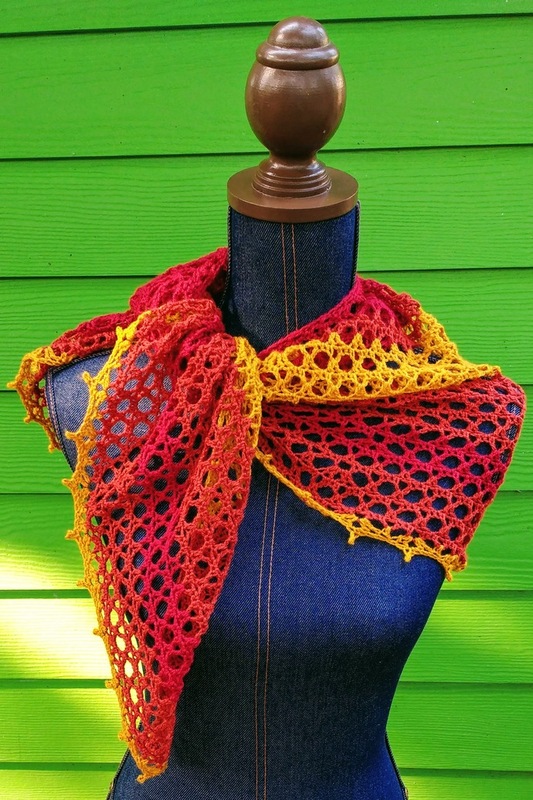 While the yarn can be machine dried, drying flat will better maintain the shape of the shawl. 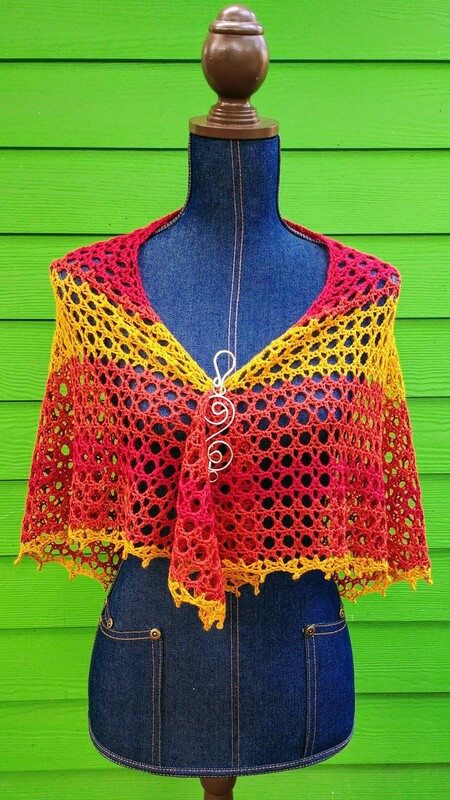 Would you like this shawl in other colors or materials or a larger size? I'm happy to discuss custom orders. Use the contact button on my website to get started. 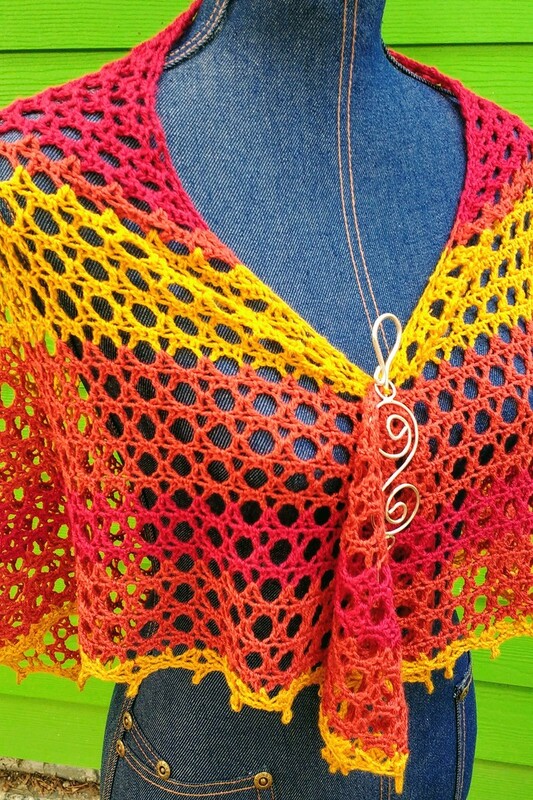 Shawl pin shown in some photos is not included with this shawl.